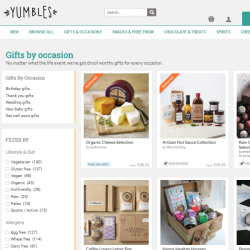 By listing on Yumbles your products are put in front of thousands of potential customers each and everyday. Our aim is to champion you and your products as much as we can. Your products are routinely included in various marketing channels at launch and thereafter, subject to our marketing planning. 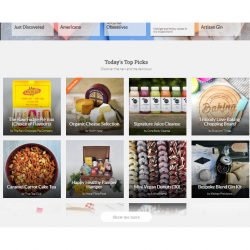 Over and above this exposure that you automatically receive by listing on Yumbles, you can opt for even greater exposure via the marketing "add-ons" on this page. 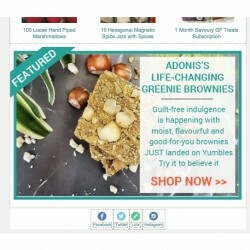 Featured Products enable you to promote a specific product via a high visibility position on the Yumbles site for 7 days or in our email marketing. Prices start from just £19 plus VAT. 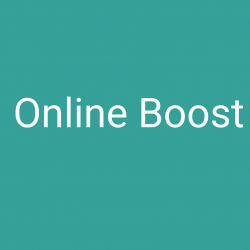 Online Boost Package gives you guaranteed multi-channel exposure at key points when you need it such as if you've just launched on Yumbles, or when you have new product launches, or when you’re running a price promotion. Christmas Marketing Packages give you increased exposure on and offsite during the peak Christmas period. These include a Print Christmas Guide and a special Christmas Online Boost Package. These are available to book from early September.